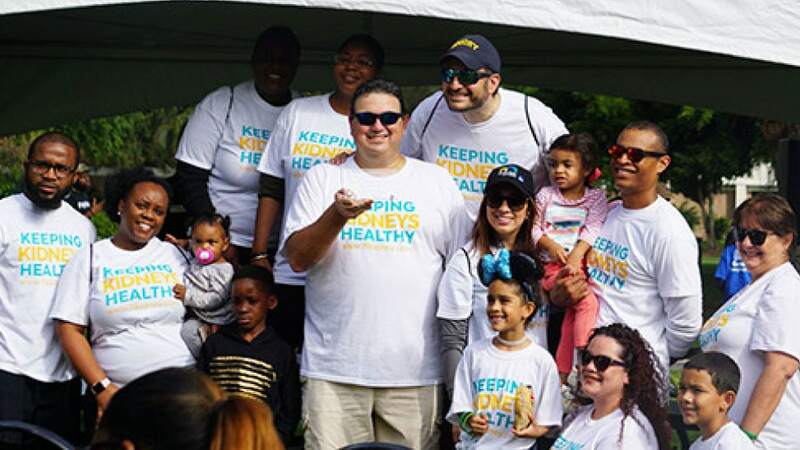 We are very grateful to everyone that came to the National Kidney Foundation Fort Lauderdale Walk and supported us in being a part of this event. We are very grateful to everyone that came to the National Kidney Foundation Fort Lauderdale Walk and supported us in being a part of this event.  ❤️ Florida Kidney Physicians is proud to have been one of the sponsors for this event that helps patients with kidney disease. We passed out information, distributed our “Keeping Kidneys Healthy” shirts, discussed with other institutions to see how we can build a better future for our patients and played corn hole with them too! Dr. Casaretto gave a talk about kidney care and how to keep kidneys healthy. A talk that, without a doubt, deserved all the applause of those who were there. Thank you to the National Kidney Foundation of Florida for organizing this rewarding and helpful event. We walked in honor of all patients on dialysis, with chronic kidney disease, transplants, or any kind of kidney problems. Dr. Casaretto delivered a lecture on prevention of chronic kidney disease.